Hyderabad Metro Rail (HMR) on Saturday announced fares for its services, with minimum prices fixed at Rs 10 and maximum Rs 60. Prime Minister Narendra Modi will inaugurate the 30-km-long first phase of the HMR project on November 28. 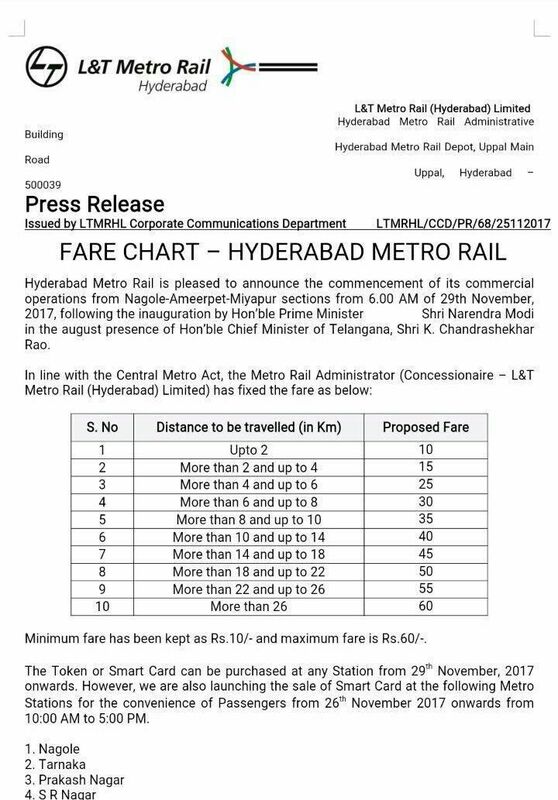 Commercial operations will start from November 29 from Nagole to Miyapur at 6pm.